Mining Heritage at the Silver Mountain Experience at Silver Mountain Experience01970 890620work Industrial HeritageExperience guided tour 'A Miner's Life', which immerses you in the original and rare setting of our 250+ year old Silver-Lead mine both above and below ground, and with exclusive access to the Ore Crusher. Discover the fascinating facts of mining life in by-gone times as it would have been seen through the eyes of a miner. Take the 'time' to visit our new attraction Time Lab, which features an interactive show for all the family, delving deep into the freaky facts and twisted tales linked to this unique Silver-Lead mine. 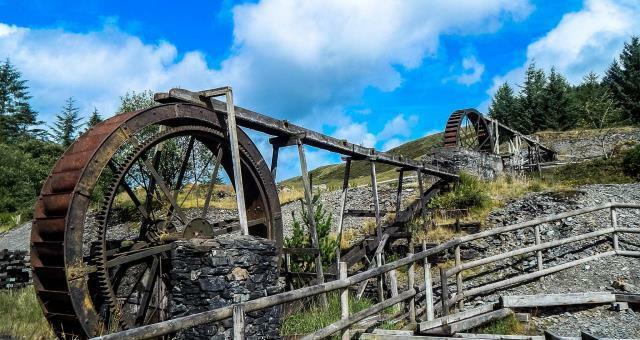 Follow the Miner's Trail to explore one of the best preserved mining sites in the UK. Begin at the Giant Waterwheel, work your way around the Mine Offices, explore the Mine Shafts and finish at the Mining Museum. 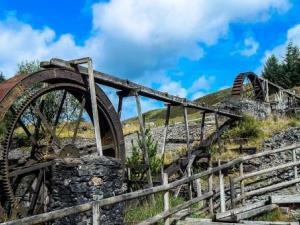 The Mining Museum houses a collection of hard rock mining machinery, tools and ephemera, reflecting the story of Silver-Lead ore extraction in the Cambrian Mountains. Experience guided tour 'A Miner's Life', which immerses you in the original and rare setting of our 250+ year old Silver-Lead mine both above and below ground, and with exclusive access to the Ore Crusher. Discover the fascinating facts of mining life in by-gone times as it would have been seen through the eyes of a miner. Historical features on the site are continuously being restored with the invaluable help of volunteers from the Mines Preservation Trust. Keep an eye out for more historical developments in the near future! Please see website for main season and winter opening details. The Silver Mountain Experience is located on the A44 (Aberystwyth - Llangurig (A470) road). It is approximately 11 miles from Aberystwyth and 2 miles from Ponterwyd (A4120) which links to Devils Bridge. Llangurig (A470) is 14 miles away. It is clearly signposted in the the village of Llywernog, directly opposite the Red Kite Cafe. The local 525 bus stops on request at the entrance on the A44, with Aberystwyth train station 11 miles away.